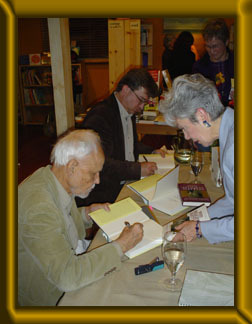 Tales of Wonder: Adventures Chasing the Divine, an Autobiography by Huston Smith with Jeffery Paine. Winner: 2010 Nautilus Book Award in the category of Memoir/Personal Journey. Huston Smith, the man who brought the world's religions to the West, was born almost a century ago to missionary parents in China during the perilous rise of the Communist Party. Smith's lifelong spiritual journey brought him face-to-face with many of the people who shaped the twentieth century. His extraordinary travels around the globe have taken him to the world's holiest places, where he has practiced religion with many of the great spiritual leaders of our time. Smith's life is a story of uncanny synchronicity. He was there for pivotal moments in human history such as the founding of the United Nations and the student uprising at Tiananmen Square. As he traveled the world he encountered thinkers who shaped the twentieth century. He interviewed Eleanor Roosevelt on the radio; invited Martin Luther King Jr. to speak at an all-white university before the March on Washington; shared ideas with Thomas Merton on his last plane ride before Merton's death in Bangkok; and was rescued while lost in the Serengeti by Masai warriors who took him to the compound of world-renowned anthropologists Louis and Mary Leaky. In search of intellectual and spiritual treasures, Smith traveled to India to meet with Mother Teresa and befriended the Dalai Lama; he studied Zen at the most challenging monastery in Japan; and he hitchhiked through the desert to meet Aldous Huxley, dropped acid with Timothy Leary, and took peyote with a Native American shaman. He climbed Mount Athos, traipsed through the Holy Land, and was the first to study multiphonic chanting by monks in Tibet, which he recorded with Mickey Hart of the Grateful Dead. Most important, he shared the world's religions with the West—writing two bestselling books and serving as the focus of a five-part PBS television series by Bill Moyers. Huston Smith is a national treasure. His life is an extraordinary adventure, and in his amazing Tales of Wonder, he invites you to come along to explore your own vistas of heart, mind, and soul. In this collection of illuminating conversations, renowned historian of world religions Huston Smith invites ten influential American Indian spiritual and political leaders to talk about their five-hundred-year struggle for religious freedom. Their intimate, impassioned dialogues yield profound insights into one of the most striking cases of tragic irony in history: the country that prides itself on religious freedom has resolutely denied those same rights to its own indigenous people. With remarkable erudition and curiosity--and respectfully framing his questions in light of the revelation that his discovery of Native American religion helped him round out his views of the world's religions--Smith skillfully helps reveal the depth of the speakers' knowledge and experience. American Indian leaders Vine Deloria, Jr. (Lakota), Winona LaDuke (Anishinaabe), Walter Echo-Hawk (Pawnee), Frank Dayish, Jr. (Navajo), Charlotte Black Elk (Lakota), Douglas George-Kanentiio (Mohawk), Lenny Foster (Dine), Tonya Gonnella Frichner (Onondaga), Anthony Guy Lopez (Lakota), and Oren Lyons (Onondaga) provide an impressive overview of the critical issues facing the Native American community today. Their ideas about spirituality, politics, relations with the U.S. government, their place in American society, and the continuing vitality of their communities give voice to a population that is all too often ignored in contemporary discourse. The culture they describe is not a relic of the past, nor a historical curiosity, but a living tradition that continues to shape Native American lives. "I have tried to describe a Christianity which is fully compatible with everything we now know, and to indicate why Christians feel privileged to give their lives to it." 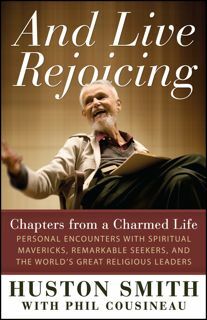 In his most personal and passionate book on the spiritual life, renowned author, scholar, and teacher of world religions Huston Smith turns to his own life-long religion, Christianity. With stories and personal anecdotes, Smith not only presents the basic beliefs and essential teachings of Christianity, but argues why religious belief matters in today's secular world. Though there is a wide variety of contemporary interpretations of Christianity -- some of them conflicting -- Smith cuts through these to describe Christianity's "Great Tradition," the common faith of the first millennium of believers, which is the trunk of the tree from which Christianity's many branches, twigs, and leaves have grown. This is not the exclusivist Christianity of strict fundamentalists, nor the liberal, watered-down Christianity practiced by many contemporary churchgoers. In exposing biblical literalism as unworkable as well as enumerating the mistakes of modern secularists, Smith presents the very soul of a real and substantive faith, one still relevant and worth believing in. Smith rails against the hijacked Christianity of politicians who exploit it for their own needs. He decries the exercise of business that widens the gap between rich and poor, and fears education has lost its sense of direction. For Smith, the media has become a business that sensationalizes news rather than broadening our understanding, and art and music have become commercial and shocking rather than enlightening. Smith reserves his harshest condemnation, however, for secular modernity, which has stemmed from the misreading of science -- the mistake of assuming that "absence of evidence" of a scientific nature is "evidence of absence." These mistakes have all but banished faith in transcendence and the Divine from mainstream culture and pushed it to the margins. Though the situation is grave, these modern misapprehensions can be corrected, says Smith, by reexamining the great tradition of Christianity's first millennium and reaping the lessons it holds for us today. This fresh examination of the Christian worldview, its history, and its major branches provides the deepest, most authentic vision of Christianity -- one that is both tolerant and substantial, traditional and relevant. The World's Religions, by Huston Smith, has been a standard introduction to its eponymous subject since its first publication in 1958. Smith writes humbly, forswearing judgment on the validity of world religions. His introduction asks, "How does it all sound from above? Like bedlam, or do the strains blend in strange, ethereal harmony? ... We cannot know. All we can do is try to listen carefully and with full attention to each voice in turn as it addresses the divine. Such listening defines the purpose of this book." His criteria for inclusion and analysis of religions in this book are "relevance to the modern mind" and "universality," and his interest in each religion is more concerned with its principles than its context. Therefore, he avoids cataloging the horrors and crimes of which religions have been accused, and he attempts to show each "at their best." Yet The World's Religions is no pollyannaish romp: "It is about religion alive," Huston writes. "It calls the soul to the highest adventure it can undertake, a proposed journey across the jungles, peaks, and deserts of the human spirit. The call is to confront reality." And by translating the voices of Hinduism, Buddhism, Islam, Confucianism, Christianity, and Judaism, among others, Smith has amplified the divine call for generations of readers. Working with Phil Cousineau, Smith has recently completed a collection of over thirty interviews he has given over the last four decades. This book will reveal the roots of Smith's search for the fundamental mystical truths at the heart of religion. Ralph Waldo Emerson once said that he would gladly walk 100 miles through a snowstorm for one good conversation. Fortunately, readers don't have to trudge through a blizzard or even leave their armchairs to listen in on these 22 fascinating conversations with renowned religious scholar Huston Smith. Kudos to editor and accomplished author Cousineau (The Art of Pilgrimage) for gathering these interviews that span more than 30 years. Readers will find themselves ravenously eavesdropping on captivating discussions, such as Smith's humorous story of meeting His Holiness the Dalai Lama for the first time or his soothing anecdote of how he became spiritually reconciled to the death of his eldest daughter to cancer. When Smith speaks about religious violence, his insight could be relevant to any era of humanity: "First of all, my persuasion is what really breeds violence is political differences. But because religion serves as the soul of community, it gets drawn into the fracas and turns up the heat." Indeed, a lifelong career of studying the world's religions has made him especially gifted in illuminating the dialogues that are timeless. As a result, his conversations touch upon many Big Questions: what is the meaning of God? Where do science and religion meet? How can we teach children about the sacred in everyday life? Why do we move toward the light? Incidentally, Cousineau's stunning preface is worth the price of admission alone. His most recent book, Why Religion Matters: The Fate of the Human Spirit in an Age of Disbelief, offers a timely manifesto on the ur gent need to restore the role of religion as the primary humanizing force for individuals and society. Weaving together insights from comparative religions, theology, philosophy, science, and history, along with examples drawn from current events and his own extraordinary personal experience, Smith gives both a convincing historical and social critique and a profound expression of hope for the spiritual condition of humanity. Despite the widespread belief that these are halcyon days for religion and spiritual awareness, Smith shows how our everyday worldview is instead dominated by a narrow scientism, materialism, and consumerism that push issues of morality, meaning, and truth to the outer margins of society and our lives. In fact, he finds that too much of what passes as religion these days is actually a privatized and ungrounded debasement of true religion. Cleansing the Doors of Perception is a fresh consideration of the age-old relationship between certain psychoactive plants and chemicals and mystical experience by one of the most trustworthy religious writers of our time. Author Huston Smith (most famous for his classic The World's Religions) is the Walter Cronkite of religion scholars. He has long believed that "drugs appear to be able to induce religious experiences" and that "it is less evident that they can produce religious lives." At the same time, he posits that "if ... religion cannot be equated with religious experiences, neither can it long survive their absence." Therefore, Smith's basic question about entheogens (a word he defines as "nonaddictive mind-altering substances that are approached seriously and reverently") is "whether chemical substances can be helpful adjuncts to faith." Cleansing the Doors does not offer one sustained argument in response to that question. Instead, the book collects Smith's many articles about this subject, and connects them with brief introductory essays. The writings gathered here range from personal testimony about Smith's own experience with entheogens to ethnographic work on the use of entheogens in India. Throughout, Smith's style conveys the wisdom and wonder that has guided his explorations of this strange, fascinating aspect of religious experience. Published in association with the Council on Spiritual Practices, Cleansing the Doors of Perception is a fascinating inquiry in the significance of consciousness-magnifying substances. Smith combines historical insight, personal experience, and an understanding of the cognitive sciences to produce the only comprehensive book written for the general public on the mysterious relation among entheogens, consciousness, and faith. Marked by clarity, rare philosophical depth and a truly global perspective, these 19 essays in comparative religion are filled with challenging ideas and bold speculations. Smith ( The Religions of Man ) argues that each of the world's three great civilizations has overspecialized--the West in natural wisdom, China in social ethics, India in religious psychology--with disastrous consequences for each culture. He looks to Taoism for guidance in solving the ecological crisis, faults postmodernism for its blindness to transcendent experience, and interprets Western philosophy as a great religious enterprise fueled by a thrust toward transcendence. On a more mundane level, Smith discusses spiritual discipline in Zen, analyzes Tibetan lamas' chants and offers insights on Japanese Shintoism, the Christian ecumenical movement, ancient Vedic priests' imbibing of soma (possibly a psychedelic mushroom, he concludes) and how to teach religion. These highly accessible essays previously appeared in scholarly journals or books. Many scholars of religion began their studies by reading Smith's The Religions of Man (1964). His essays, previously scattered in numerous hard-to-find journals, are finally available in one convenient volume. The 19 pieces collected here delineate the three-decade intellectual journey of a scholar directly involved in the quest for religious knowledge. Eclectic and rich in scope, the subject matter ranges from Taoism and ecology, the Vedic-Soma experience, Tibetan magical chanting, and the treatment of Western philosophies as religions to the impact of postmodernism on the study of religions. All the essays are tightly argued and beautifully written; a few are sure to be controversial. A perfect companion to The Religions of Man and necessary reading for anyone interested in religious studies. Recommended for public and academic libraries. In this challenging and provocative collection of 19 essays on comparative philosophy, religion and culture, one of the foremost thinkers of our time provides his most insightful and important reflections on the state of humans' spiritual life. "Eclectic and rich in scope . . . tightly argued and beautifully written." --Library Journal. Bookshelves abound with introductions to Buddhism, many written by luminaries and spiritual giants of the faith. But this primer co-written by Smith, whose magnum opus The World's Religions has sold more than two million copies, is distinguished by its gentlemanly erudition and thoughtful attention to Buddhist diversity. The book's first half is an expanded and updated version of the Buddhism sections of The World's Religions and was penned by Smith. Special attention is given to Theravada Buddhism, which "was overshadowed by Mahayana" in the original version; one chapter provides a helpful side-by-side chart illuminating the basic differences between the traditions, while the next features an in-depth discussion of Theravada's influence in South Asia and its emphasis on insight meditation. The primer's all-new second half-written by Smith's former doctoral student Novak-presents the story of Buddhism in the West, discussing its multifaceted presence in the United States. While Novak devotes time to the rise of Buddhism in Germany, England and France, it is clear that he finds the "New Buddhism" of America, with its emphasis on lay involvement, social engagement and the cross-pollination between Buddhist traditions, to be the source of the most exciting contemporary innovations. Smith's helpful afterword gauges the rising importance of Pure Land Buddhism in America, though this vital information should have merited a full chapter. Novak and Smith's collaboration is a fine contribution to the admittedly crowded corpus of introductions to Buddhism: the strokes are broad, the writing style engaging and the chapters short and accessible. The classic companion to The World's Religions that articulates the remarkable unity underlying the world's religious traditions. "Smith's style reflects his subject; he is by turns a mystic sage, a poet, and above all a philosopher." --Publishers Weekly. Includes a new preface by the author. "Rationalism and Newtonian science has lured us into dark woods," says Huston Smith, "but a new metaphysics can rescue us." In this new revised edition, Smith explores the "dark woods"—modernity—which can be characterized by a loss of faith in transcendence. Through his fourteen critically acclaimed essays, he invites us to step outside our current Western outlook to see our worldview in perspective. He distinguishes between the "traditional" worldview that placed God at the center of the universe; the "modern" view in which science ruled; and the "postmodern" view that doubts whether the universe makes sense at all. Smith begins by tracing the course of Western civilization that has brought it to the postmodern period. This enables him to establish a vantage point for viewing the Modern/Postmodern scene, and then to examine several aspects of contemporary culture, such as science, theology, education, and the humanities. In the final chapters, Smith offers suggestions for moving out of the woods and into a twenty-first century that affirms the ultimate truths of love, the human soul, and the Divine. With a new preface and a new final chapter, this edition proves to be a guiding light in a time of doubt. Drawn from his masterful presentation of Islam in the bestselling The World's Religions, Huston Smith offers a highly readable and incisive guide to the heart of a tradition with more than 1 billion adherents worldwide. Dispelling narrow and distorted notions about the nature of Islam, Smith shows the rich history, culture, and values that sustain this vibrant tradition. As Huston points out, Islam itself means primarily "peace," and its full connotation is "the peace that comes when one's life is surrendered to God." Featuring a new introduction for these troubled times, the book covers not only the history and teachings, but also such timely issues as the true meaning ofjihad, the role of women in Islamic societies, and the remarkable growth of Islam in America. This book will stand apart as the least expensive and most concise, timely, and reliable introduction available today. The evolution and changes of the Native American Church are traced in a fine documentary which charts its struggle to preserve its religious freedom in the face of government challenges to its existence. Personal accounts by church members pepper this history and documentation of the Church's traditions and controversial rituals.